It is really heartening to hear a fellow musician praising the other musicians without considering them as competitors. Yes, Anirudh Ravichander, the young music composer known for his gentle character, has some good words of praise for his contemporary, Kuralarasan. Simbu is awaiting for the release of his Vaalu from almost a year and the rumours being speculated about his Idhu Namma Aalu music composed by his brother Kuralarasan is added damage. 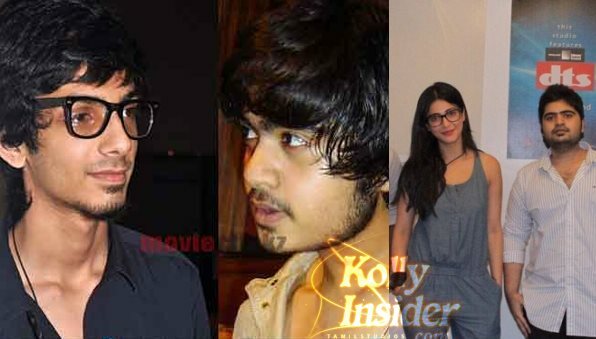 Some sections of the media reported that Kuralarasan struggled to compose songs and that Anirudh stepped in to help out and ghost composed the songs. At this time, putting all rumours to rest, music director sand friend of Simbu, Anirudh has come in rescue and showed his gesture through his micro-blogging page. Remember, STR's younger brother Kuralarasan is making his debut as music director with Pandiraj directing Idhu Namma Aalu. "Here is wishing an awesome musical debut to @KuralTR ! Heard couple of songs and they sound great :) So many unnecessary false rumours..haha", shared Anirudh in his Twitter page. 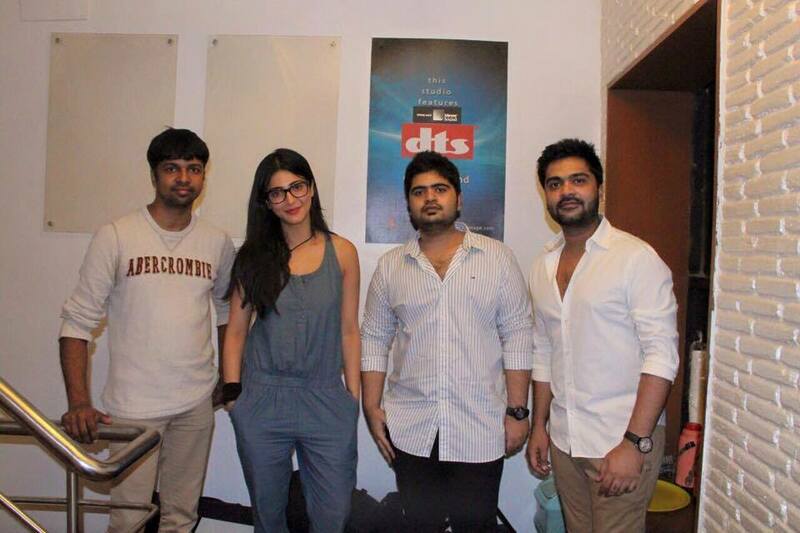 Also Shruti Haasan has come forward to croon a number for the film. The lyrics for this track have been penned by Madhan Karky and this song has been recorded recently. A picture taken after the recording. With Shruti's proven prowess at singing and given her style and attitude, this song is sure to be a winner as and when INA's music releases. Exciting indeed ! The film, which has long been in the making, stars Simbu, Nayanthara and Andrea as the lead pair with Santhanam and Soori playing supportive roles.